Call Now For A Dumpster Rental in Henderson! Experience the Discount Dumpster Rental Difference. 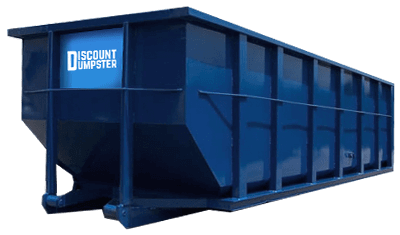 Discount Dumpster has been a premier waste disposal option in the Las Vegas area since we entered the market. We understand you are looking for the highest quality of waste service. You have come to the right spot. Our containers come backed by our highly recommended service. We are proud to say our containers are fit for just about any project. Call us today for more details and to get your order set up immediately. Our company offers an responsible waste management service for the area. Our business is done mostly without the use of paper, which eliminates our company’s carbon footprint. We want to rid you of any unnecessary headache and focus on the relevant matter at hand, which is hauling your construction debris. Let us take care of that problem for you. Call us today for more details on how we can save you more with our waste services. The 10 yard bin is the best choice for heavy loads. Its compact size allows for the container to be filled up with heavy material and not damaged. Slightly bulkier than the 10 yard roll off, the 15 yard is commonly rented for small remodels, attic and garage cleanouts. The 15 yard size allows it to hold most household trash. Its low height allows for easy disposal of rubbish. Smaller than the 40 yard, the 30 yard is common for large demolitions. Its relatively large size allows the bin to hold most construction debris. With 30 cubic yards of room, it is ideal for small building leveling. Our 40 yard receptacle is common for contractors undertaking building construction. You can remove several tons of rubble with this bin. It is ideal for contractors performing large demolitions. Every waste management project differs in size and scope. If your project happens to go longer than expected, there is no need to panic. You can let us know how long you will need the dumpster for, and we will work with you on it. The normal rental period is 10 business days, but you can rent the bin longer. That way you don’t have to stress about placing a new order. We are here to take the annoyance out of waste service. Just as we said, we have you covered! There are several reasons our customers continue to come to us. One reason that remains the same over the years is our prompt waste service. We are able to deliver to basically any residential or commercial worksite, as long as the road is accessible for our drivers. If there are no low hanging branches or wires, and the driver doesn’t have to navigate through narrow streets, we could have your container out within five hours. Call us anytime during the regular workweek so we can help you get started on that project. 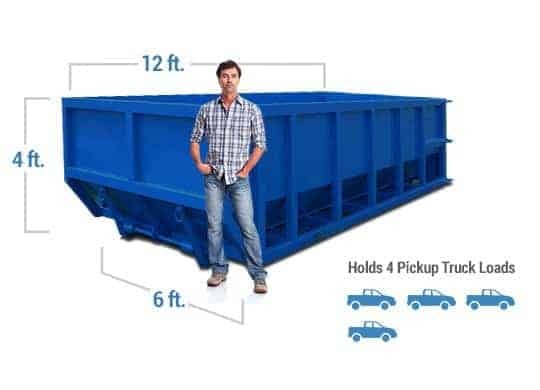 We have several bin sizes to choose from, and our dumpster pricing is the best in the business. Our customers have been known to save up to $100 on their dumpster rental. 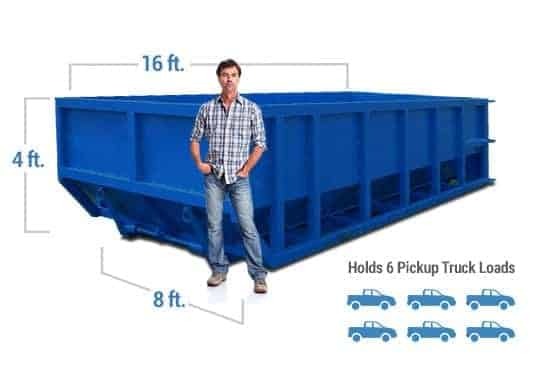 If you need multiple dumpsters for your project, this can really add up. Don’t delay. Call our team today so we can set your order up immediately. It’s always a good idea to check with your Homeowners’ Association and local municipalities to see if a permit is required for your dumpster rental. The City of Henderson Building Department can help you answer any questions about permitting for your construction job and dumpster rental. Our team can also help answer these questions, so call us today! Make sure the debris you’re disposing is permitted by the local landfills, because that’s where we’ll haul the dumpster load. You can take a look at our list of prohibited items, and if anything is questionable, call our team to see if you should find an alternate disposal method.